Anyone for golf - but not as we know it! Now, if you've ever had a bash at golf you'll know it's not as easy as it looks - so how about golf with a difference. 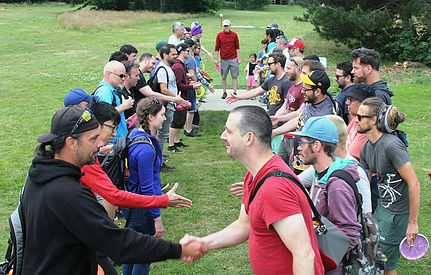 Could Frisbee Golf or Disc Golf be your thing? Similar rules - but no annoying little white ball to contend with! In Manchester, a new 18 hole course has opened and it's FREE! As part of our new ITV summer series called Healthy Holidays we're encouraging young people to get out of the house, so we thought we'd try it out. Paul Crone reports.